Some 1000 years ago, this unsual activity inflow aristacrats from capital of Heiankyo, Kyoto today. 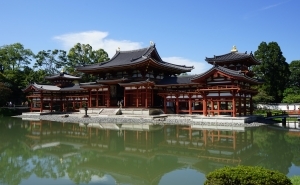 Uji is closing setting for epic which revolves around the thickness of Heian aristcracity. The Uji river divides two worlds, the patricians built the country's residences along the banks so they could relax away from the pressure at the capital. Copyright ©カストロとゲバラに憧れてHasta la victoria Siempre All Rights Reserved.